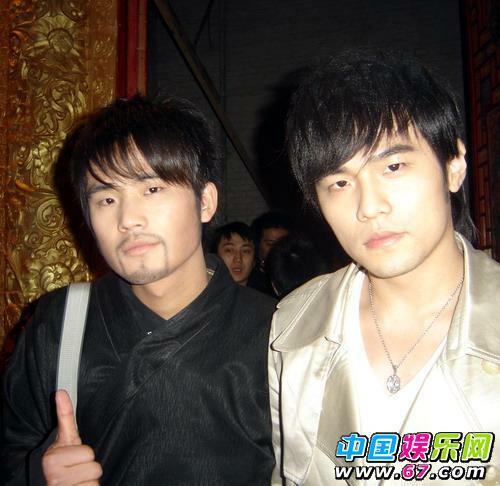 I like Jay Chou but his current favorite game of playing cat and mouse with the paps, then taunting them afterwards, is no longer fun to watch. I know. He’s perhaps the most-chased star by the paps in Taiwan. And his hate-hate relationship with the paps has been immortalized in one of his songs, Besieged from All Sides that featured a not-so-famous Zhou Xun then and a catchy chorus that taunts the “dogs” or 狗 (gou), the slang for paparazzi in Mandarin. It must be hard living Jay’s life, being tailed by the paps all the time. And the gou coming up with all sorts of stories, of course, mainly about his personal life. There’s the one with Jessie Chiang and involving him beating a red light to shake off the paps. He goes out to dine with his mother and they right away zero in on the girl seated beside him and Chou Mama. Who could forget the now-classic photo snapped of him and Patty Huo in Tokyo? Patty is the only girl, so far, in Jay’s love-graphy (is there even such a word) that has gained public status as his girlfriend. And now, the Taiwan paps are all over town (and up to France) trying to catch Jay with his latest rumored girl, Hannah Quinlivan, who just turned legal age last month. And the best that they could get was their back view while getting off a ferry in Marseille. This of course prompted him to taunt the paps through a video message posted on a friend’s blog making fun of them for only succeeding at getting their backs. But the cat and mouse game has not ended there. It seemed the paps are accepting the challenge to try to get the faces of Jay and his 18-year-old girlfriend from the front. And so the chase continues. So far, it’s 2-0 in favor of Jay. The paps’ latest attempts have only revealed Hannah being picked up by a fleet of sportscars driven by Jay’s friends. I can understand the distaste for the paps among celebrities. I totally do. Obviously, Jay is enjoying taunting the gous and making them fall flat on their faces. And his brush-in with the paps have been well documented as well. He’s one star who is not scared to get off his car and confront the paps. Or chase them like what happened when one of the cameras hit his assistant. Thing like this go with the territory. It’s amusing to watch but if this wears on, it won’t be fun anymore. Not that my sympathy is with the paps and I badly want them to catch Jay with his latest paramour. I like Jay–his music–but I don’t care about who he goes out with. He’s rich, not that bad-looking and famous. I’m sure girls drop at his feet all the time. I just feel that it should be beyond him to do the taunting. Why not be cooler like Nic Tse or harsh like Mike He? And a word to the paps: make sure that if and when you catch Jay, it won’t be his stand-in. Or you’d end up being taunted again. Should I carry on acting till they are satisfied? Why? Why follow me wherever I go? Oh Oh what for? Oh Oh for the bones.